Our lowest priced sit-on-top kayak is the perfect choice for beginning paddlers. 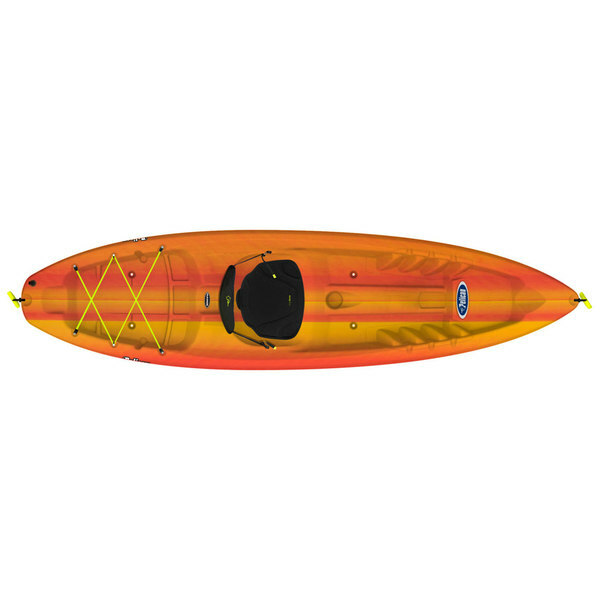 If you're new to paddling or you'd like to keep a couple of extra kayaks around for guests, the Sentinel 100X Sit-On-Top Kayak from Pelican makes a lot of sense. The hull is laid out for stability and comfort so you can enjoy your time on the water right out of the gate. Weighing only 45 pounds, this kayak is still capable of handling up to 300 pounds onboard (including you and your gear) so you'll have plenty of capacity for packing a cooler, bringing a four-legged friend or a dry bag full of camping supplies. Utilizing Twin Sheet Thermoforming (TST) technology, the Sentinel 100X features RAM-X™, a multi-layer polyethylene known for its high impact-resistance, its ability to regain its initial shape after violent impacts and its UV-protected exterior finish. The twin-arched multi-chine shape provides a stable, yet versatile ride that tracks well and allows for quick mastery by beginning paddlers. Due to Pelican's unique manufacturing process, built-in positive flotation has been added for increased buoyancy and safety.